Unlike many of my colleagues and friends, I am sadly unable to read on the bus. A couple years ago I was faced with a long work commute (1h20 each way!) so I decided it was time to give the library’s audiobook collection a try. To my delight, I discovered a new world of voices which brought the stories to life in a different way from how I would read the story myself, yet unlike television or movies, allowed my imagination to visualize the stories as it would. 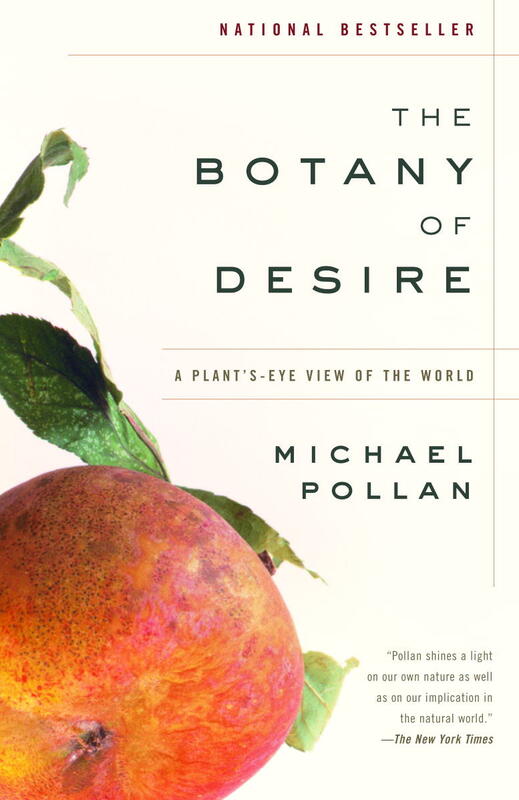 One of the first books I listened to was The Botany of Desire by Michael Pollan. I had read The Omnivore’s Dilemma, and was discovering him as an author of a wider range of works, not all about food. I admired and was inspired by his writing, and when I discovered that Overdrive had an audio version of another of his works I knew I needed to give it a try. In this book, Pollan uses the example of four familiar domesticated plants, and illustrates how the plants have evolved to satisfy humankind’s most basic yearnings. And just as we’ve benefited from these plants, the plants have also benefited at least as much from their association with us”. The story is delivered by Scott Brick’s very easy to listen to voice. After a long winter’s work day and the long bus ride home, I may have dozed off a time or two while listening (thank you to the friendly regular bus driver who knew my stop and shouted to wake me!) but only because his voice was soothing and the subject matter almost surprisingly enchanting. I would look inside my mind and see myself in a potato field, or sailing up the Delaware with Johnny Appleseed, noticing the wonder he was describing in poetic detail, then realized I was transported to that place where dreams and imagination intersect. 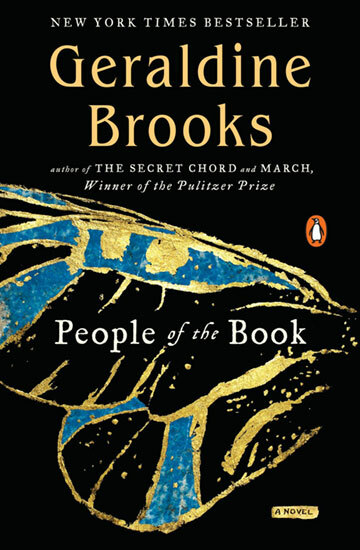 An artist friend of mine, who listens to audiobooks while she paints, told me about The People of the Book by Geraldine Brooks. According to the publisher, Brooks tells a tale of the “analysis and conservation of the famed Sarajevo Haggadah, which has been rescued […] during the Bosnian war. Priceless and beautiful, the book is one of the earliest Jewish volumes ever to be illuminated with images.” It is a tragically beautiful work made all the better by Edwina Wren, the voice artist who narrated the audio version. With her voice and her talent for accent and inflection, she was able to clearly convey which character she was speaking for, which country the character was visiting, and which era was being represented. I believe I absorbed more value from this story because of the talent of the person who read it to me than I might have reading it myself. Another appeal was the fleshing out of the life of the book itself as told through the tiny bits of evidence collected within its pages which were discovered in the restoration process. When my circumstances changed and I no longer had such a long commute, I came to realize I was missing the world of audiobooks. I began to download them and listen to them while I was alone in the kitchen cooking or doing dishes, which added a little magic to mundane tasks. I found I would finish the dishes and start looking around for more things to do so I could stay in the kitchen and listen longer … I would clean out the fridge and then wash the floor just so I could listen to my story! The last book that hooked me was Circling the Sun by Paula McLain, and read by Katharine McEwan. 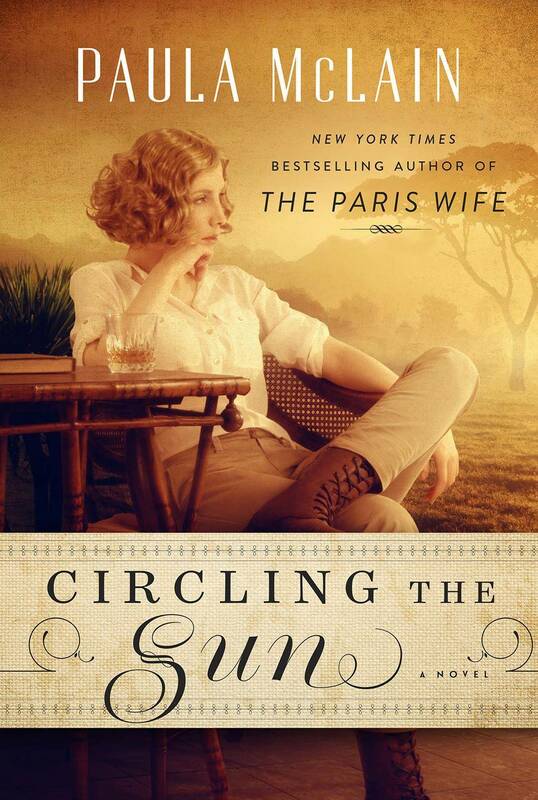 An historical fiction rendition of Beryl Markham’s life, born in England, raised by her father in Kenya, and whose personal story, I learned, intersects with the novel Out of Africa and its characters. We learn of Beryl from her early years learning the ways of the Kipsigi tribe, to becoming the first woman certified to train Derby horses when she was just 18, to becoming a pioneering aviatrix. In addition to the intriguing threads of the narrative itself, I was drawn into the story because I was sure I could feel the African sun radiating from the actress Katharine’s voice, and could almost feel what it might be like to have a lion watching me from a grassy ridge. And my kitchen floor just might be a little shiner as a result!